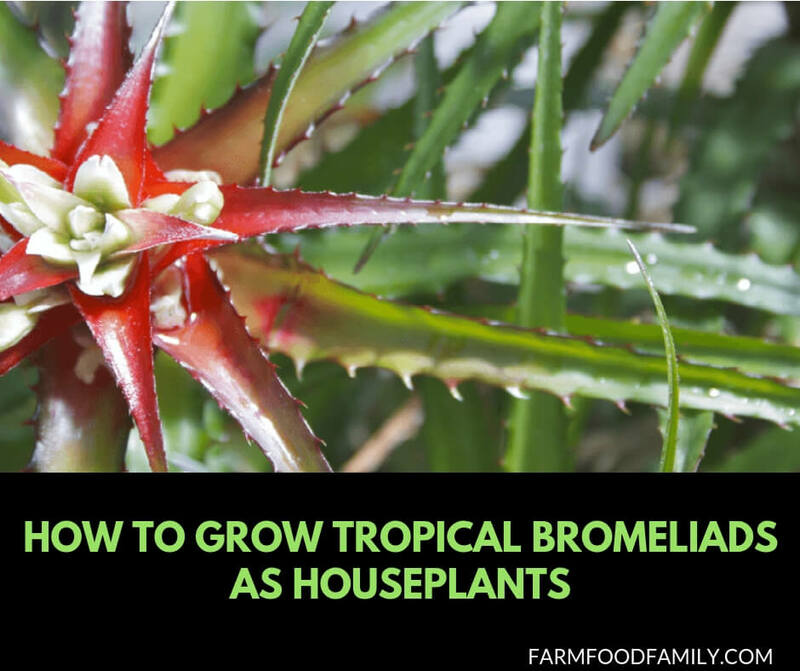 Learn how to grow epiphytic and terrestrial bromeliads as houseplants. Bromeliads are good easy to grow plant choices for indoor gardening. Indoor gardeners looking for easy to grow tropical houseplants will find a variety of low maintenance epiphytic and terrestrial bromeliads are good choices. Bromeliads have stiff long curved leaves that grow from the center. The flowers are single stalk clusters that rise from the center. Roots of bromeliads are short allowing the plant to be grown in a small container relative to its size and require infrequent repotting. Bromeliads thrive best in warm indoor temperatures where there is good air circulation and high humidity. Many types of bromeliads have a center cup that should be filled with water regularly. Sometimes called air plants, epiphytic plants prefer to obtain water and nutrients from the air. In native environments they attach themselves to other plants such as tree bark. Attaching the plant to a wooden board or piece of sphagnum peat moss can simulate this at home. Some epiphytic bromeliads adjust to growing in soil. Aechmea fasciata, sometimes called living urn plant, has silvery green broad leaves. The plant grows up to 2’ tall with blue flowers in a pink cluster. Aechmea plants prefer bright-diffused light but will tolerate part shade. Although Tillandsia is an air plant, some types adapt well to container growing in bright light. The flower shape is flat in pink and violet colors. Terrestrial bromeliads grow in the ground in native environments. As a houseplant, a potting soil mixture of peat moss, coarse sand and pine bark or shredded sphagnum moss will allow the soil to quickly dry between watering. Dyckia is a type of terrestrial bromeliad with small flowers. This plant tolerates long periods of full sun or hot dry conditions. Bromeliads make good houseplant ideas for terrariums. Gardeners should look for varieties that stay relatively small. However, for a large specimen glass container with a wide mouth, large bromeliads are appropriate too. Tillandsia is an air plant and therefore, does not require soil for healthy growing. Clear glass terrariums with wide-mouthed openings placed in a humid bathroom or kitchen would provide a good living environment for this type of bromeliad. Cryptanthus, commonly called earth star, is a short terrestrial bromeliad that has a flattened appearance. The leaves are striped in greens, pinks or a combination. These bromeliads like medium to low light situations. Some varieties such as Cryptanthus bivittatus var. atropurpureus slowly grows 3” – 4” wide in soil, making it very easy to grow in glass terrariums. Bromeliads are among the tropical plants easy to grow in an indoor garden. This type of plant is primarily native to South American rain forests. Bromeliads are in the same plant grouping as pineapples, the Bromeliaceae family. Orchid Plant Care: How Much Sunlight Does an Orchid Need?